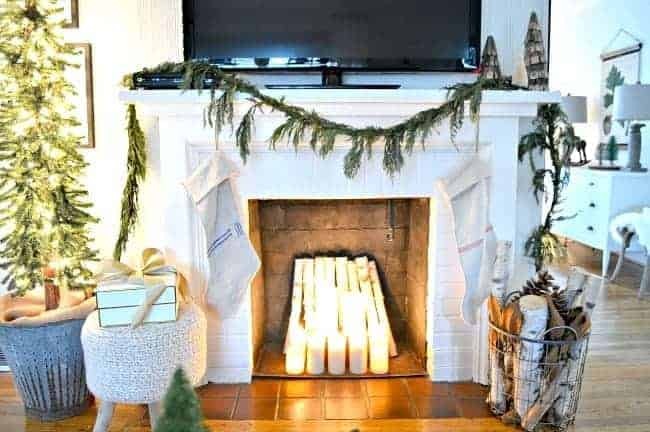 I’ve already posted our holiday dining room, kitchen and front porch tours so I thought I’d share our cottage Christmas decor in the living room, sunroom and master before the holidays are over. 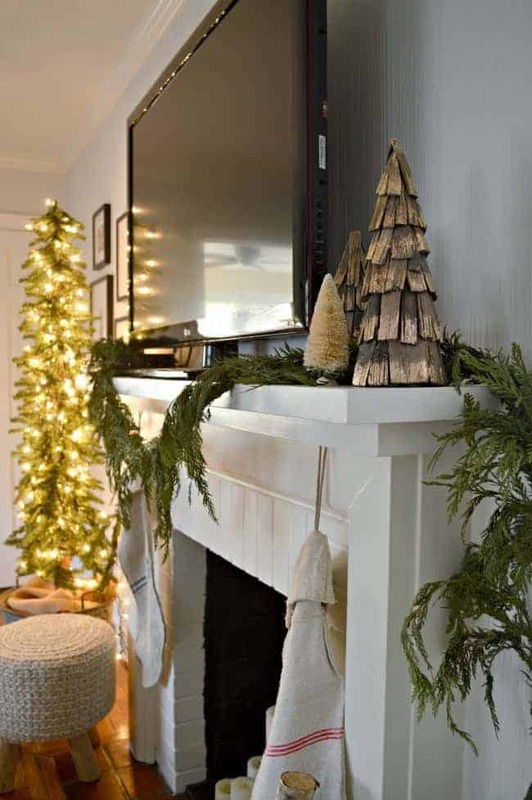 Last year was our first Christmas in the cottage and, since we were fixing up some of the rooms, I didn’t go crazy decorating. This year I started early and wanted to “do it up” in the rooms that aren’t under construction. Although, let’s face it… something’s always under construction in our house. Let’s start the cottage Christmas tour in the master. If you were able to catch my FB Live, it’s still on my FB page, then you’ll know that this room is T.I.N.Y. We’re able to fit a king size bed but there’s not a whole lot of extra room for anything else. 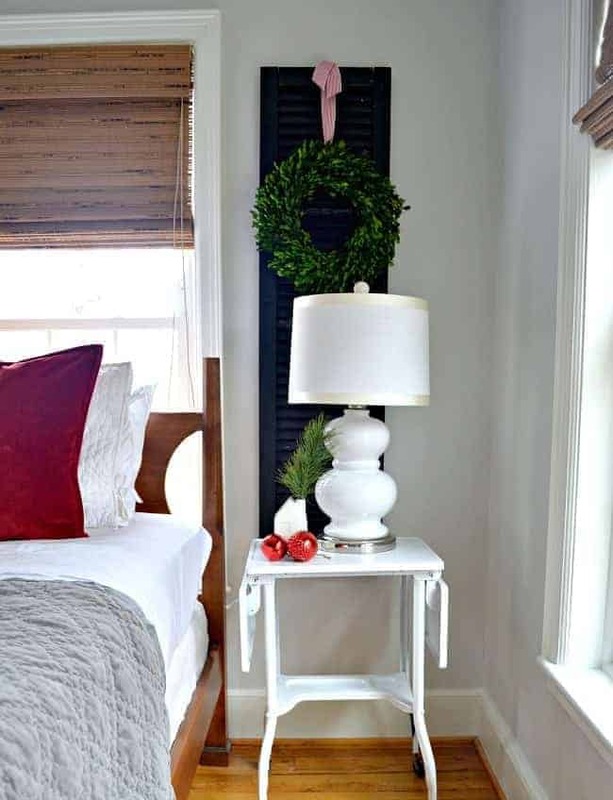 I kept the Christmas decor to a minimum and used texture, to keep it cozy, and a bit of red, to create a festive mood. Easy peasy. Moving on to the living room, which is not only a small but it’s also an awkward space. We can’t have a full size tree in here but I was able to find a skinny one that fit. 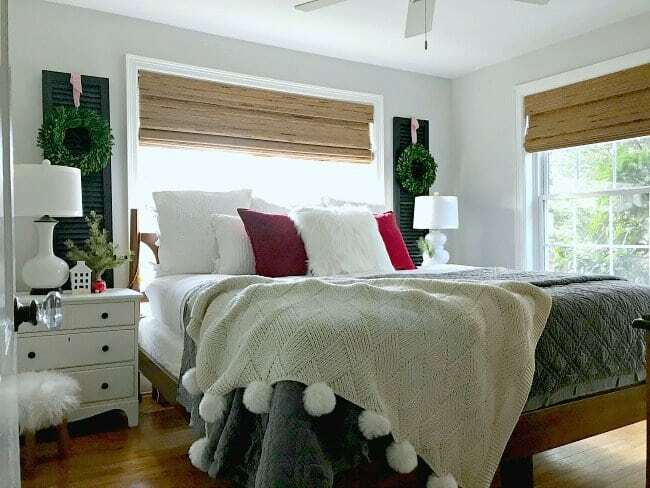 We did several improvements to this room this past year (like the fireplace redo, paint on the walls and new window coverings) so it was nice to see the finished room decorated for Christmas. 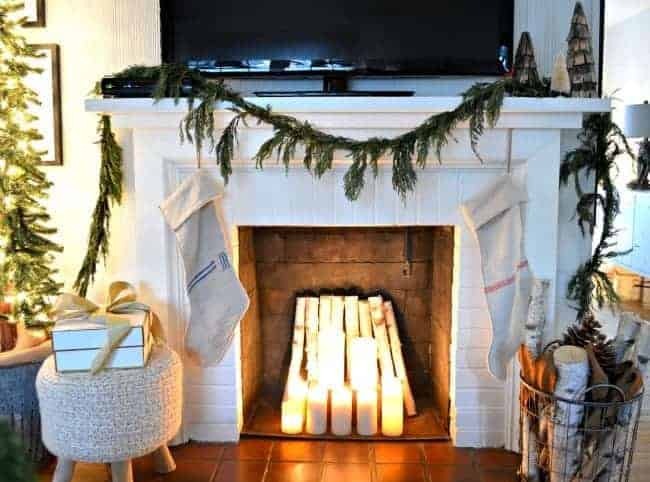 I’m really loving the fireplace area this year. It’s still not in working order so I simply added lots of candles to give a similar glow. 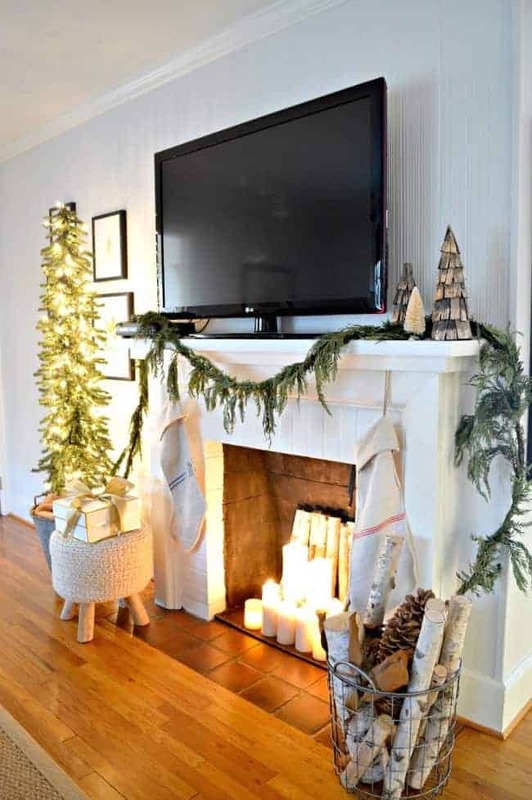 This is where the tv lives so I just went with a simple garland and our stockings. You can see our skinny little tree standing tall in his olive bucket. Because it’s so slim, I kept it simple and only decorated it with lights. I think I like it (although I’m not quite convinced just yet). Our entryway is small as well so I just added a few festive touches of green. 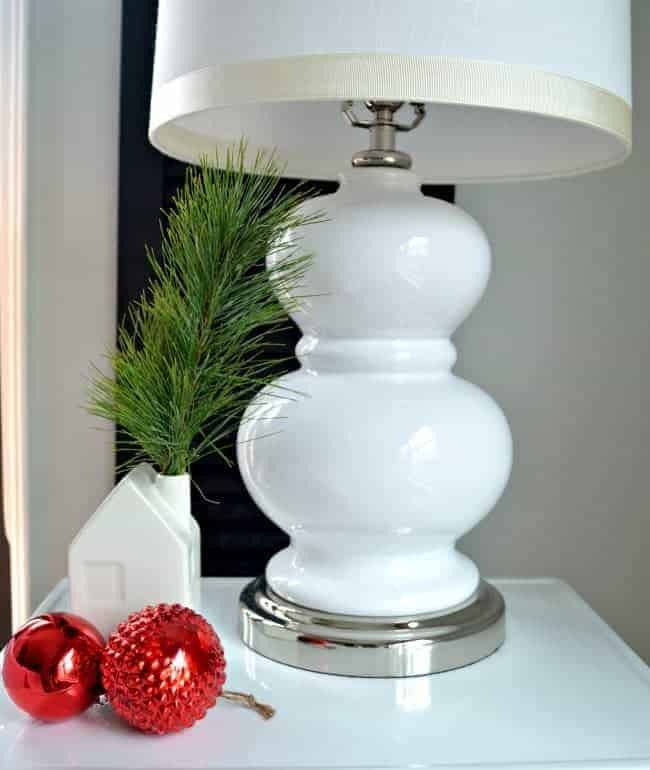 I can’t forget about my jingle bells, in a thrift store vase that just got a makeover (check it out here). Hubs really loved this one (and he’s very picky). I did a lot of work in the sunroom this past year so I couldn’t leave that out of the tour. 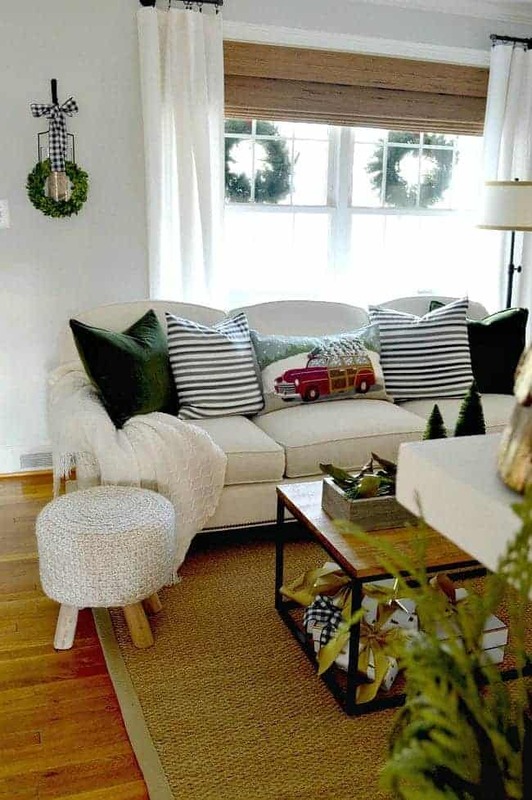 The furniture was reconfigured during the makeover so the room has a completely different feel from last Christmas. 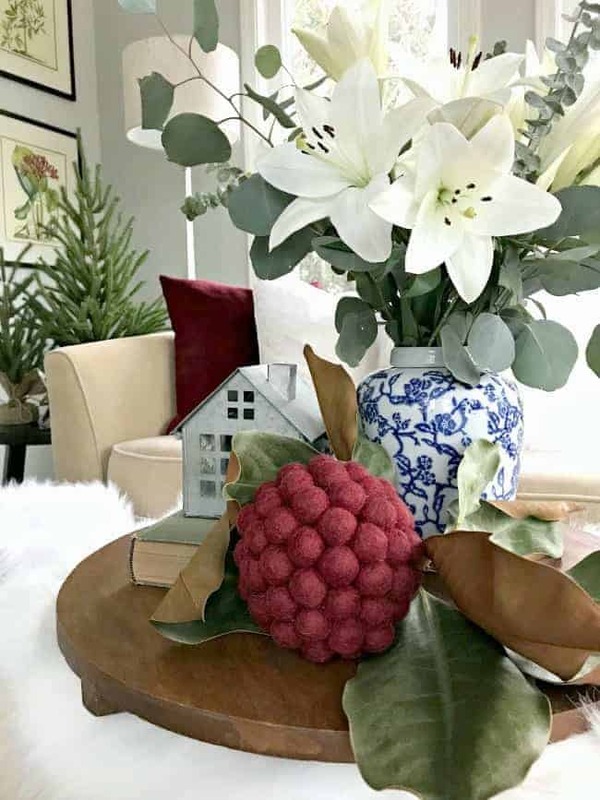 I wanted it to feel cozy in here so I used lots of pillows, faux fur and a touch of burgundy. Like all of our other rooms, this is a small space so I kept it to a minimum. 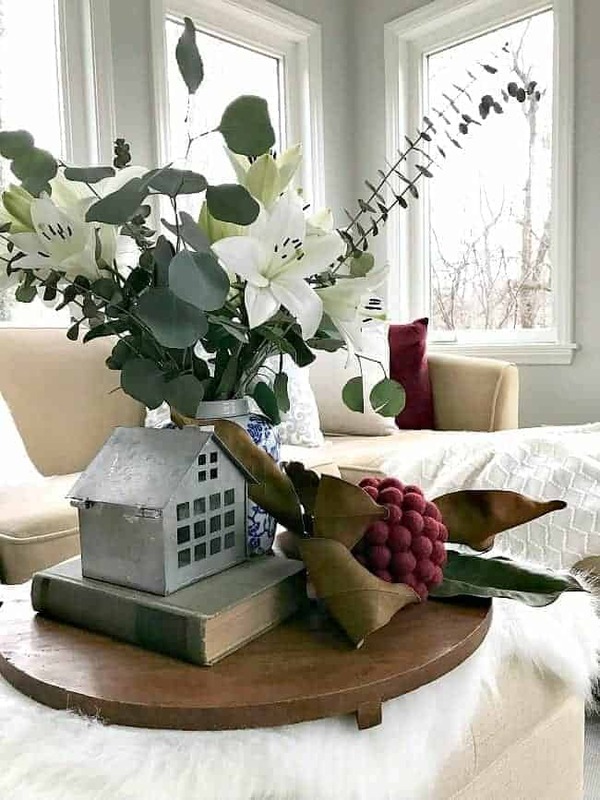 I shared phase 1 of the makeover earlier this year. Phase 2 is complete and I’ll be sharing that in the new year. We love this space. The pretty view is what really draws you in. Thanks for checking it out and for all of your support this past year. I appreciate each and every one of you. 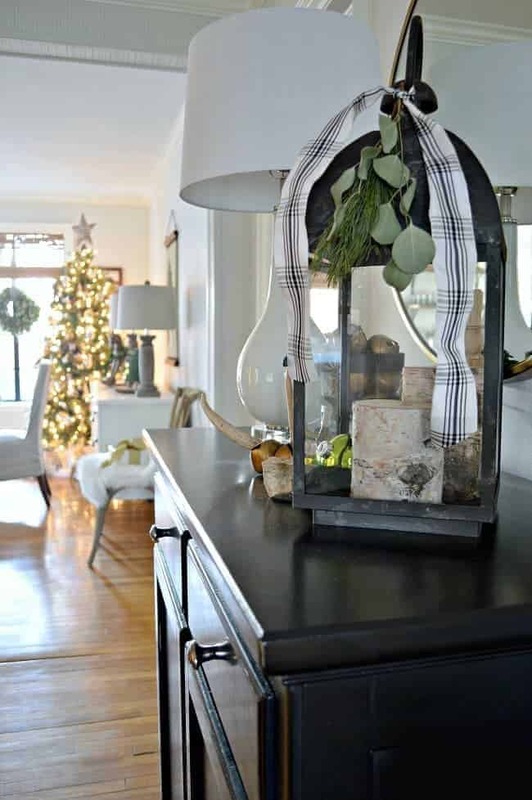 You can also check out a few of my past Christmas decor and DIY posts. Keep up with our projects and new happenings in 2018 by signing up to receive our posts by email, here. Thanks so much Ivory. I appreciate you stopping by to take the tour. love it! So clean and uncluttered. 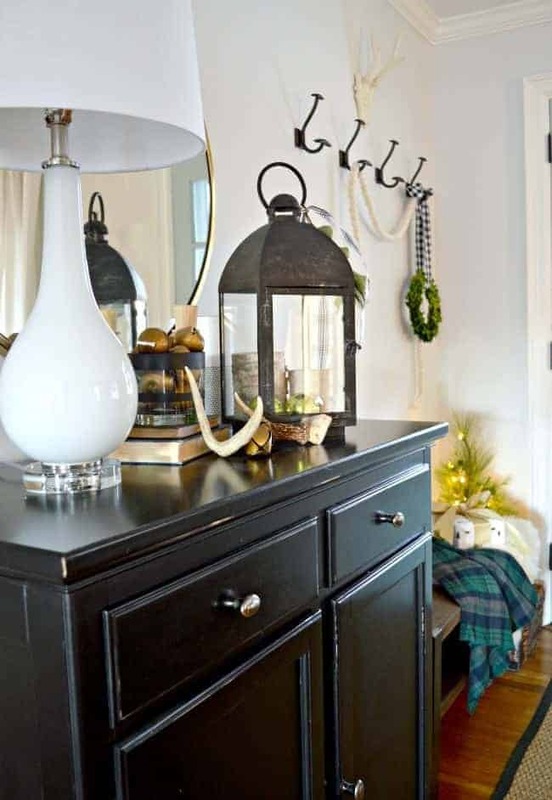 Are you able to share the source for the hooks in your entry way? Thanks so much Rosa! I appreciate you stopping by to take the tour. I got the entryway hooks from Restoration Hardware. Unfortunately they are no longer available but I found similar ones for you, here (https://www.potterybarn.com/products/boulevard-hardware-hook/?pkey=cracks-hooks-storage%7Csingle-hooks) and here (http://www.signaturehardware.com/hardware/coat-hooks-and-racks/coat-hooks/southwell-cast-iron-coat-hook-black-powder-coat.html). Hope that helps. What a great tour! It has been fun to see your holiday rooms this year. I love everything and it is hard to pick a favorite. I hope you have a wonderful holiday with your family. Happy Holidays to you Julie! It’s all beautiful and Christmasy. Thanks for sharing all of your cozy cottage. Merry Christmas! Thanks so much Terry! I’m so glad you enjoyed it. I’m sorry i forgot to wish you a Merry Christmas and Happy New Year. 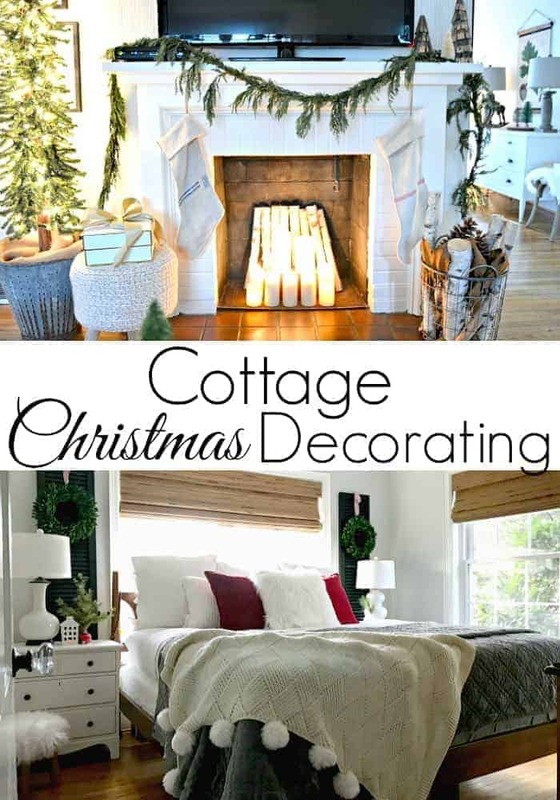 I love your cottage decorations and it does look warm and cozy. I have a tall skinny tree and i love mine, its enough for the grandkids presents and that’s all i needed. Thanks so much Marlene. 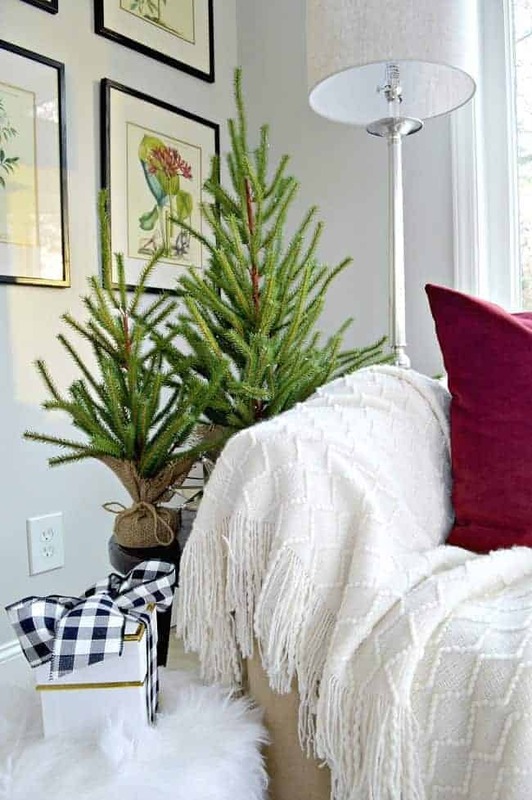 It’s nice that manufacturers make skinny and smaller trees now so that you and I can have one in our homes. Merry Christmas to you! Perfect! 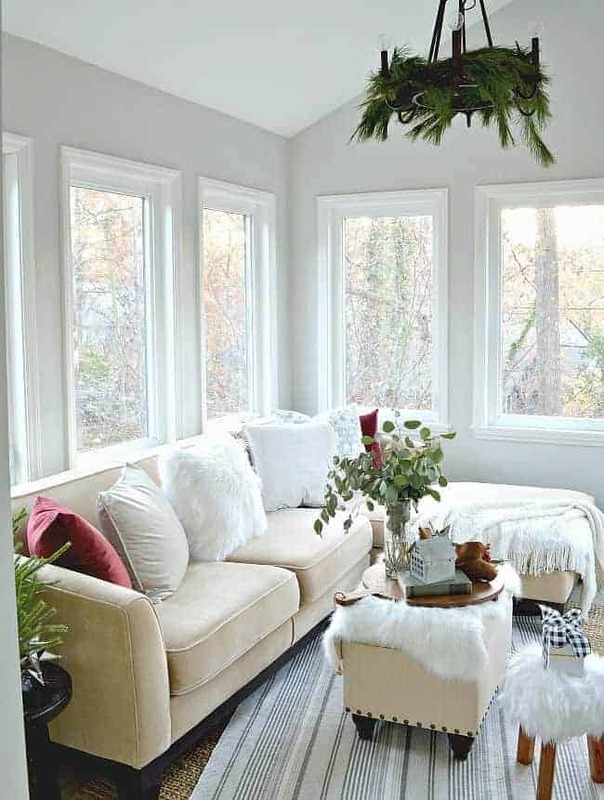 Rather than just the furry stool I will ask Santa to bring me the whole house. His sleigh is magic you know and a lot fits in there. I will have a word with him about this. Wishing you the best of the holidays.